Are you looking for inspiring, educational and enjoyable experiences to engage your students in extending their classroom learning outdoors? Then curriculum-based excursions to a National Park is your answer- they are guaranteed to enthuse, engage and inform your students. The NSW National Parks and Wildlife service have programs in the Port Stephens area, west to Gloucester and in the Great lakes area. Available for both primary and secondary school levels there are a great range of topics available all within easy access from The Retreat Port Stephens. 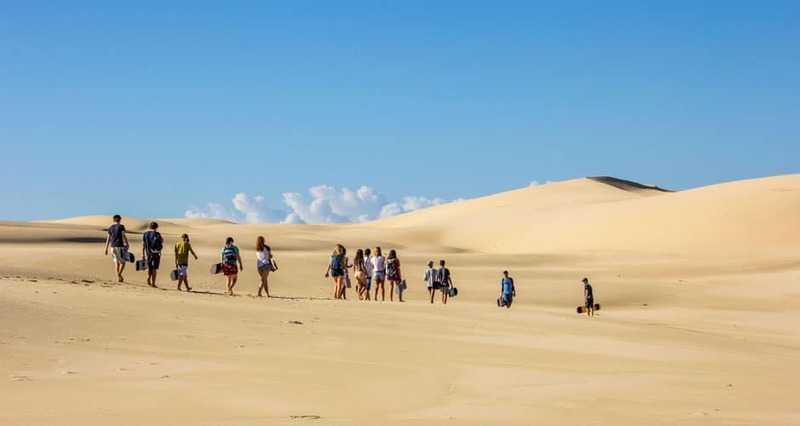 The Retreat Port Stephens offers school group accommodation in a national bush setting and backing onto the largest living sand dune system in the Southern Hemisphere. The Sand dunes are part of the Worimi Conservation lands which hold great educational benefits within a short 5 minute walk from your room. Our onsite facilities will keep students entertained through out your time onsite and our wonderful catering team are serving delicious healthy meals that the students will go have raving about. Onsite group activities are also available which are fully facilitated by the experts to offer fun, team building and action packed fun onsite or around the local area. There are a range of accommodation options available depending on your group numbers. No need to bring sleeping bags or pillows we supply beds which are already made on arrival. Students are just required to bring towels. Our bookings team are available to assist with the planning of your camps with the bookings of all activities, meal plans, room allocations and transfers if required. Our Teachers resources page offers assistance and checklists to make the planning process as easy as possible.